Hawaiian Falls water parks will host hundreds of swimmers at each of its seven Texas parks Friday, June 20, 2014 in an attempt to set a new record for the World's Largest Swimming Lesson! The World’s Largest Swimming Lesson will begin at 10 a.m. sharp at thousands of locations around the globe. All ages are invited to participate. The lesson runs 30 minutes from start to finish. In 2010, the inaugural event established the Guinness World Record for the largest simultaneous swimming lesson to build awareness about the importance of teaching children to swim to prevent drowning. Each year the event has grown and broken the previous record. Last year's event included more than 35,000 participants at 700+ locations – a 40%+ increase over the previous record. 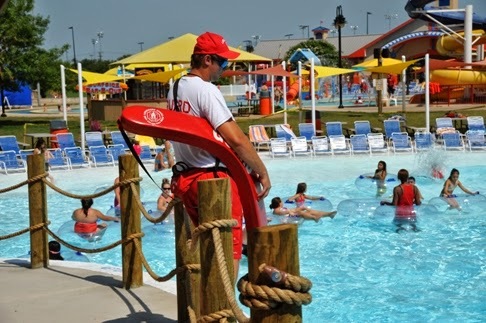 Visit www.wlsl.org to learn more about The World’s Largest Swimming Lesson, created by the World Waterpark Association in 2010 and supported by dozens of water safety organizations and media partners around the globe. Celebrating more than a decade of bringing families closer together, Hawaiian Falls operates water parks in Garland, The Colony, Mansfield, Roanoke, Waco, Pflugerville and White Settlement. More info at hfalls.com or facebook.com/hfalls. What Are Common Flaws in Home Security Systems? Giveaways Ending Soon - Enter Now!